A decent Malt - but for 18 years you can expect more! Simple, but enjoyable. A straight-up one-two punch of juicy fruits and spicy oak. Not bad at all, and much better than the contemporary Loch Lomond 18 (though less interesting than the 12-year-old Inchmurrin). A bit shy at first. Then suddenly, there's a blast of strawberry and vanilla ice cream, followed by hay and other grassy notes. Freshly cut carrots, but also a vegetal mustiness. Then one is reminded of herbal liqueurs like Chartreuse or absinthe, perhaps even liquorice-flavored Ouzo. Peppermint! Finally, old leather. Intermittently, a less attractive, alcoholic smell comes through: cleaning fluids or nail polish remover. Some musty caramel notes. Overall, it's peculiar, but not repulsive. Immediately juicy, with green grapes and squished pears. Not a lot happening on the mid-palate, apart from some beetroot and minty sweetness; then it's on to a hugely spicy, oaked-up finale. Ends on wasabi paste and prickly oak. On the short side. 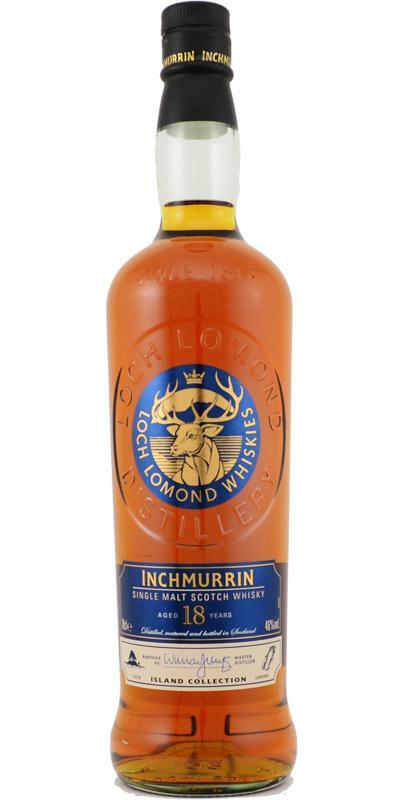 As Inchmurrin is distilled in a Lomond Still with a straight neck – hence caught at a surprisingly high ABV of around 83 to 85% - it remains very fruity (which is also due to the extremely long fermentation time). This matured for 18 years and comes in the new packaging that looks much more stylish (I think) than the wild disco cows. 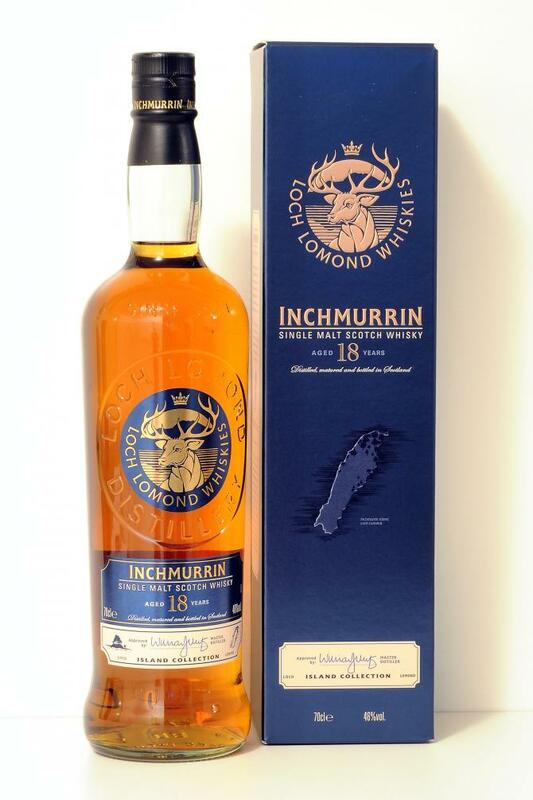 Inchmurring, by the way, is named after the largest island in the Loch Lomond. Ouch, this nose is surprisingly oaky, I have to say. Loads of wood, that seriously hamper the fruit. Reminds of whole meal bread, wood shavings and nuts. Breakfast pastry. Oranges and caramel. The spices even remind me of the oriental kitchen. On the palate… loads of tannins, that’s just the way it is. Then quite a few wood spices such as ginger, liquoirice, upholstered with cocoa and aspartaam – what a pity. Hint of caramel and chocolate. Rather dry. Orange rind. Pineapple. The finish is long, but too bitter and dry to be enjoyable. I’ll have two of the new 12 Year Old instead, thank you very much. Quite sweet and sugary - toffee apples and aromatic spicing to commence – supported by maple syrup, chocolate digestive biscuits, cinnamon buns and fresh-baked pastries. Natural grassiness runs throughout – freshly mown lawns, green twigs and golden malts. Reduced, this becomes sweeter still – orange peels, barley water and almonds all coming out to play. A textured mouthfeel on arrival – slightly syrupy. Toffee, coffee grounds and dark chocolate are joined by bourbon biscuits, ginger spicing and sour gummy sweets. In the mid to back palate there’s an interesting (albeit slightly strange) acridness – part nutty, part vanilla/oak, part paint thinners – it’s hard to isolate, but becomes increasingly bitter and charred. The addition of water brings out much more cask influence – vanilla, sappy oak and tree resin. It’s also a touch more floral – lilies and camomile. Medium to long in length, with coffee beans, chocolate malts and a steady sense of dryness. Raisins, chocolate, nutmeg, orange, peach, banana, brown sugar, dried grass, melon, pineapple and flower honey. Raisins, banana, peach, melon, brown sugar, grapefruit, pineapple, orange, oak, hay, heather and honey. Medium, cereal, grapefruit, bitter chocolate, nutmeg, orange peel, hay and flower honey.